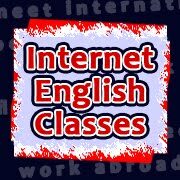 Why telephone or Skype Business English lessons instead of in-company lessons? Many academies and in-company lessons have their students sit through their lessons with very little speaking practice, which is often the most immediate skill to improve. Drawing on an academic and traditional approach, they go over large amounts of grammar and reading activities, while neglecting speaking practice. In cases in which there is a focus on speaking, group lesson dynamics don't allow much speaking time to each student, and their mistakes often go uncorrected. When companies urgently need their staff to boost their communication skills in English, the conversational topics in class are hardly ever relevant to their daily work. Not quite a practical way to go! The easiest way for academies to recruit teachers is to resort on young expat travellers who, although holding a hard-earned ESL teaching certificate, lack the experience and commitment required to excel and meet the rising demands of today's English-speaking business world. Working face to face, they can only rely on the local pool of teachers. Paired with a frantic work life, corporate students often lose motivation and start missing lessons or quit altogether, since they are regarded as a worthless break into their very tight agenda. Such organisations fail to make the most of their potential in the international market because their problems with English carry on. On the contrary, we strive to bring our focus to speaking and corrections, leading to a noticeable improvement in the students' use of English, their fluency and confidence. Having a one-to-one English lesson by telephone or Skype, our students speak for the most part of the class. We discuss the daily tasks and challenges faced at work, as well as common Business English topics such as meetings, presentations, marketing and sales, and the like (see list below), thus making our students learn vocabulary and expressions that are highly valuable and relevant to their daily work. Able to reach teachers working remotely from all around the world, we can ensure our teachers will offer the highest teaching standards, as well as a background in several industries of interest to the student. As our teachers work from home, we can allow for certain time flexibility and better adapt to our students' hectic agendas. With no commuting times and facilities or transport costs, we can offer very competitive prices without affecting the quality of our services. All of this leads to better engagement, faster learning and a great performance in the English-speaking international business world. This is the most economical solution. The students will access all the content of the course on their own through the e-learning platform Moodle, including specialised reading and listening activities, vocabulary lists and grammar exercises. Our teachers will meet the students by telephone or Skype to determine their level and conduct a 1-to-1 final exam to verify whether the student fulfilled the goals of the program. Throughout the course, they will assist them through the platform's messaging application and forums. Both student and teacher will access the abovementioned platform, while adding a stronger focus on speaking and corrections, making use of the Business-related content of the platform. By unleashing all the power of our speaking lessons dynamic, the students will greatly improve the fluency and confidence. They can also access all the content of the course in the platform 24/7. Word order: Where to place the adverb. Reported Imperatives. Want someone to do something. Written and spoken English. The geek learner problem.